Kelliwood homes for sale are located in a very large master-planned neighborhood that spreads along South Fry road on the far-east side of Katy TX…close to George Bush Park and the Energy Cooridor. This neighborhood was built during the late 80s and throughout the 90s so the trees are mature and the scenery is beautiful. Parts of Kelliwood are gated, on the Willow Fork Golf Course, or have water views. Whatever type of home you are looking for, you will probably be able to find it in Kelliwood! What’s more, the schools zoned to Kelliwood are high-performing schools. Here’s a map of where Kelliwood homes for sale are located. The following table shows the schools zoned to Kelliwood Katy. If you want the current ratings for these schools, please download the Katy Neighborhoods Guide. You can view the demographics of Beck and McMeans Junior High Schools, zoned to this neighborhood, below. This will give you some idea of the demographics of this neighborhood. 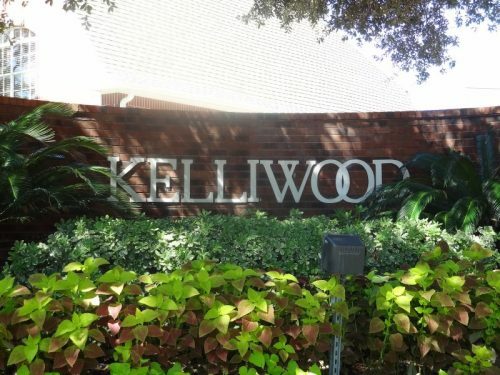 Kelliwood is divided into multiple subdivision, each with it’s own price range, property tax rate, and amenities. You will need to check the individual HOA web pages to find out about the specific amenities available in a Kelliwood subdivision or call 281-945-4632. The annual HOA fee, which pays for the amenities, varies from $500 to $5200 depending on the lot and subdivision. Go to the individual HOA web pages for helpful phone numbers, community documents, and utility information. Property taxes in this neighborhood may vary slightly, but are approximately 2.59-2.62 as of April 2018.